brand new Plug and Play With Volume Controller, can easy to comtrol volume Allow to fit in the ear pockets of any helmet that cover your ears With extension cable to extend the ear speeaker With sticker behind the speaker that can paste to your helmet. Fit for your MP3 , iPod, GPS or other music device. Colour: Black Speaker connection input: 3.5mm jack Speaker diameter: 6cm Cable Length: (Approx.) 92cm Extend Cable Length: (Approx.) 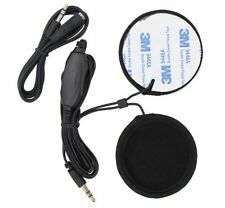 94cm Speaker Thickness: 0.5cm. 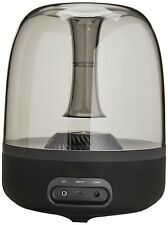 Harman Kardon Aura Studio 2 Bluetooth Speaker System. 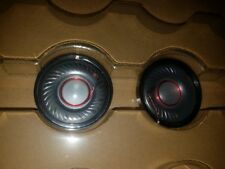 2pcs SPEAKERS for BOSE QC35 QC25 QC15 QC2 QC3. Crystal Clear Sound as Factory OEM Bose. AE Series OE Series headphones. Genuine Beats by Dre Studio 2 speaker driver. Will fit wired or wireless versions. Tested and working properly! Can fit your left or right side of your Beats headphones. Speakers are tested and will perform perfectly upon installation. JoJo Siwa Kids Headphones, Volume Limited with Ultra-Thin Speaker & Headband. Condition is New. Shipped with USPS First Class Package. § Speaker connection input: 3.5mm jack. § Speaker Thickness: 0.5cm. § Plug and Play. § With extension cable to extend the ear speeaker. Trending at $20.00eBay determines this price through a machine learned model of the product's sale prices within the last 90 days. Fits different versions of Beats by Dre Solo2 2.0 wired. B05018 and wireless B0534. Just enjoy your cycling trip in the world of music. This motorcycle earphone gets the music in a wireless way, as you could connect it to the device which suits for Bluetooth 3.0. Using the screw and bayonet to fix the headphone, this headset can be installed more firmly without falling down easily when cycling at a high speed. 【Built-in Microphone】The microphone in the unisex music hat makes it possible to transmit the speaking phone to your audio devices directly, hands-free answering. This can provide you more choice when talking with friends. In Very good condition. see picures. 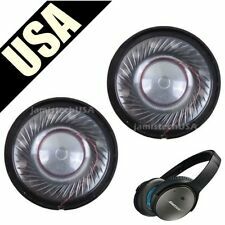 Bluetooth version: 4.2 BR EDR. Support Bluetooth Protocol: Support a2dp/avctp/avdtp/avrcp/hfp/spp/smp/att/gap/gatt/rfcomm/sdp/L2cap profile. If item is defective after 3 months, you can still send it back to us. AUDIO KIT : I360 Universal Drop-in Audio Speakers. Then insert the cord into any phone or mp3 player or stereo with a standard 3.5mm jack and rock out to your favorite tunes while riding. Speakers and plug feature 0.14", Impedance: 32(8~150) ohm, Power Rated: (Max. ).